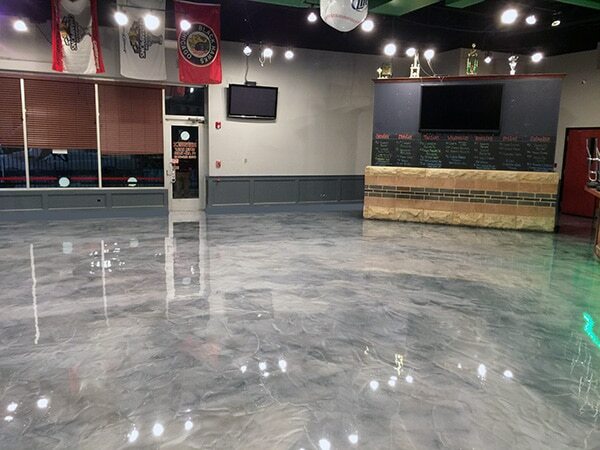 Windy City Coating’s Industrial Solid Color Epoxy Concrete Floor Coating is a high performance 100% solids, clear and pigmented epoxy resin flooring system that exhibits great chemical resistance. 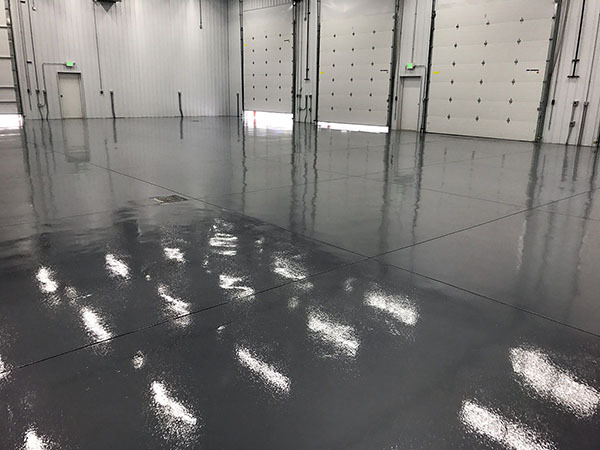 Our High-Performance Epoxy Concrete Coating is used in floor coating systems designed for applications that call for high strength, high gloss, abrasion resistance, and chemical resistance. 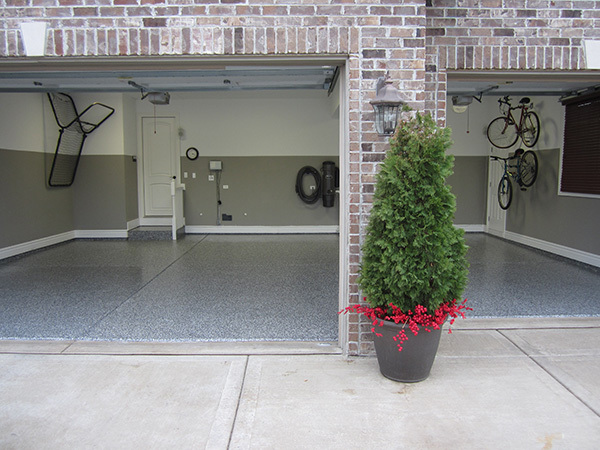 Solid Color Epoxy Concrete Floor Coatings provide a high gloss, single color finish that is common in Chicagoland garages, basements, warehouses, automotive shops and numerous other applications. If you’re interested in having Solid Color Epoxy Flooring installed in your Chicagoland home or business, Windy City Coating can help. At Windy City Coating we believe in being honest, upfront and transparent – while always putting our Chicagoland customers first. This has made us Chicagoland’s preferred installer of epoxy flooring. Be sure to view our Solid Color Epoxy Flooring gallery and contact us today for a free, no-obligation quote. Our solid color epoxy floor creates a uniform one color look that brightens and creates a clean look to any space. This system consists of the following. Step 1: We diamond grind your concrete to achieve a proper surface profile for maximum adhesion of the epoxy. All of our diamond grinding equipment have HEPA vacuums attached to create a clean and virtually dustless environment. Step 2: (If present) We fix any cracks or pitting that may exist using our polymer modified concrete or epoxy patch. Step 3: We apply a basecoat of a 100% solids commercial grade epoxy primer. Step 5: Apply a final topcoat of Polyaspartic or Aliphatic Epoxy. 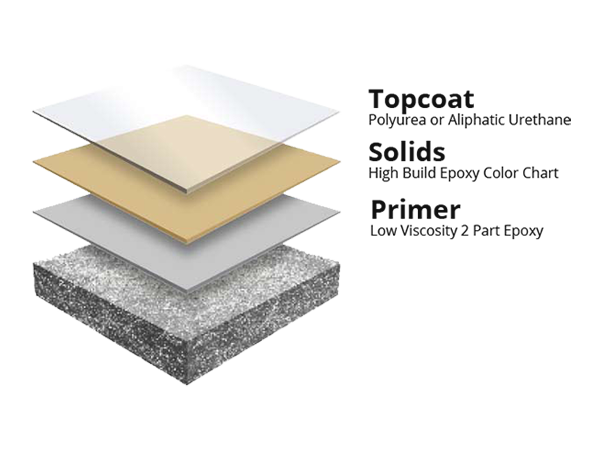 Aluminum Oxide can be broadcasted at this point to create a non-slip, textured floor. Pricing: Pricing varies. Please contact us today for a free no-obligation quote. Also be sure to check out our Solid Color Epoxy Flooring Gallery. Solid Color Epoxy Flooring is versatile and can be installed in a number of flooring applications. 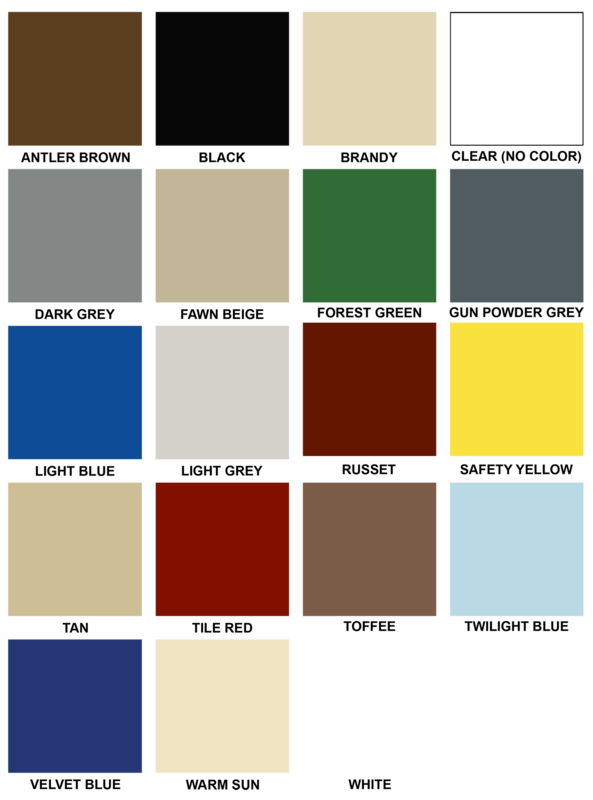 Below are a few examples of places we have installed Solid Color Epoxy Flooring. Windy City Coating has proudly served Residential, Commercial and Industrial flooring customers throughout the Chicagoland area and Northwest Indiana since 2006. 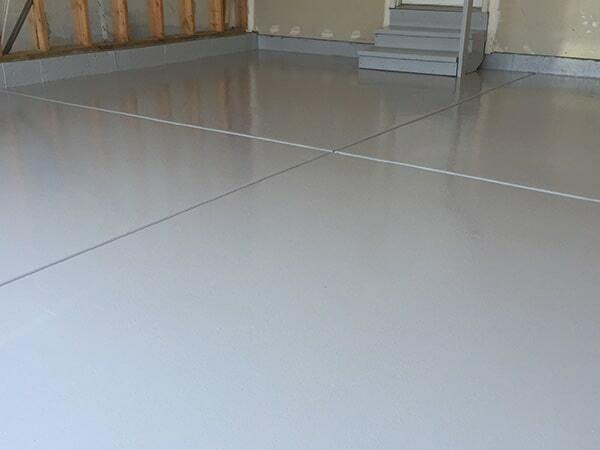 Our top quality Polyurea / Epoxy Flooring, Concrete Sealing and Floor Grinding will revitalize your Chicagoland garage floor, basement, patio, commercial building, retail store, warehouse or any other concrete surface. Our office is located in New Lenox, but we travel throughout the entire Chicagoland area. We have customers in Chicago, New Lenox, Mokena, Frankfort, Orland Park, Tinley Park, Lockport, Shorewood, Plainfield, Naperville, Hinsdale, Downers Grove, Schaumburg, Arlington Heights, Northbrook, Wheaton, Joliet, Des Plaines, Oak Lawn and everywhere in between. At Windy City Coating we have transformed boring concrete into spectacular looking floors in many Chicagoland residential homes. Garage polyurea / epoxy flooring is our most popular service, followed closely by basement epoxy flooring. Driveways and patios benefit greatly from our concrete sealers. Our pricing is competitive and our results are exceptional. Your Chicagoland commercial business needs to have an attractive and durable flooring solution. Epoxy flooring makes concrete exceptionally durable, protecting the underlying concrete from moisture, stains, grease and cracks. Our flooring solutions are perfect for offices, restaurants, bars, retail stores, schools, hospitals and many more commercial businesses. 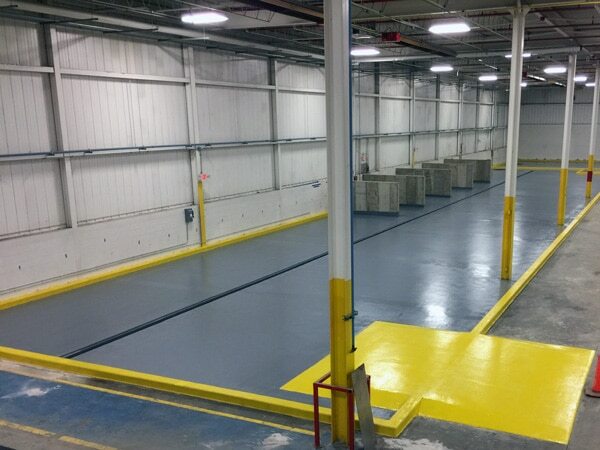 Chicagoland Industrial Flooring customers benefit greatly from our epoxy flooring and concrete services. Our Solid Color Epoxy and Quartz Epoxy Flooring systems are very popular with industrial facilities due to their high-strength, durability, abrasion and chemical resistance qualities. Concrete sealers and concrete grinding are also very popular industrial services. Interested in Learning More About Windy City Coating?